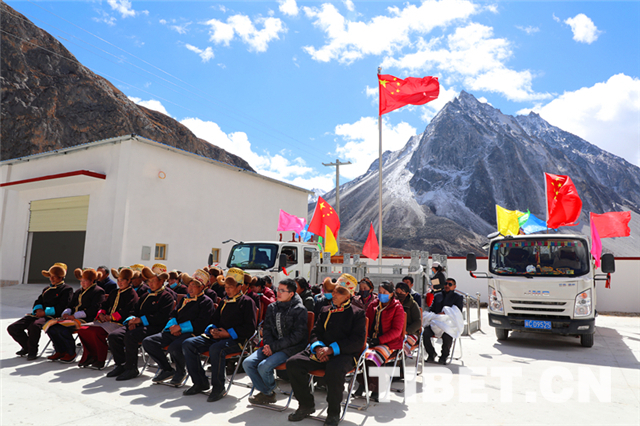 The Chinese Communist Party’s (CCP) policy on the Indian borders is two-fold: one, to build ‘model’ villages (the villagers are said the ‘Guardians of the sacred land and the builders of happy homes’); two, to relocate recalcitrant Tibetans to place further away from the sensitive Indian borders. 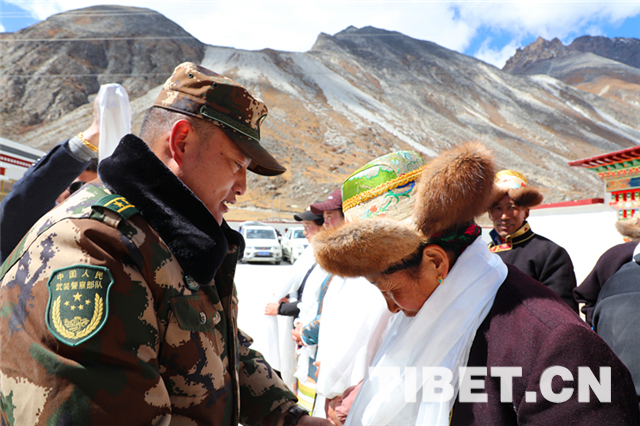 Remember Chinese Premier Li Keqiang’s visit to Southern Tibet on July 25. The Premier went directly to Nyingchi (Nyingtri in Tibetan) Prefecture (now City) bordering Arunachal Pradesh. He visited a village (Shiga village?) 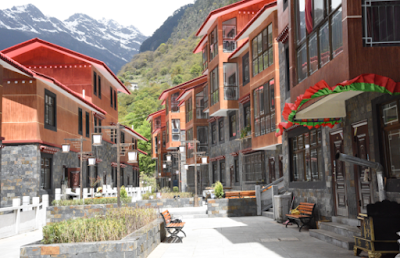 in Mainling County; it is a new village inhabited by Monpas. Why Monpas in this area? According to a press release, the inhabitants of this ‘Monpa’ village have been relocated from 'impoverished areas'. The ‘impoverished’ region is the wealthy Metok County. 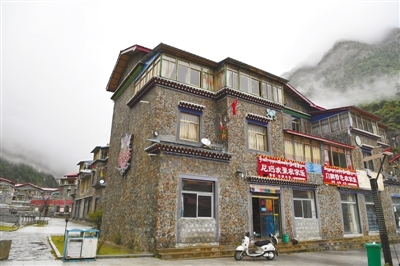 Kunsang, one of the villagers, told Li that his family moved from Metok County, where ‘road travel is fairly difficult’. This is rather surprising considering that after a tunnel was opened in 2013, the area is doing rather well, thanks to the tea plantation and large income brought by tourism; at the same time, the Chinese propaganda kept insisting that Metok, after the arrival of the all-weather road (via the tunnel), is doing well. Better communications, are the positive ‘changes’ often mentioned for Metok. 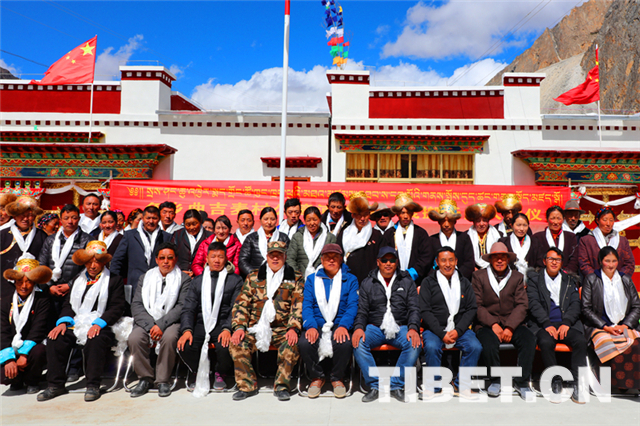 It is difficult to understand why this family was shifted from Metok to Mainling County. The only reason can be: the Party wants only ‘safe’ Tibetans on the borders with India. 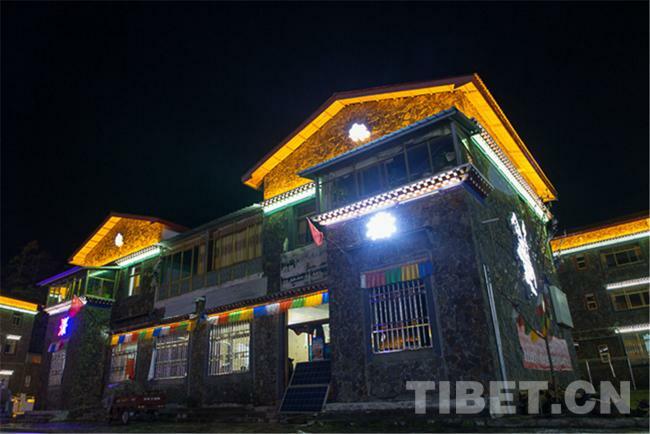 Lhodrak, the legendary birthplace of Marpa the Translator is located north of the Bhutanese border. Tibetan ‘uniforms’ are clearly provided for the photo op. On October 19, The China Daily published another article on “Relocation raises living standards for Lhopas”. 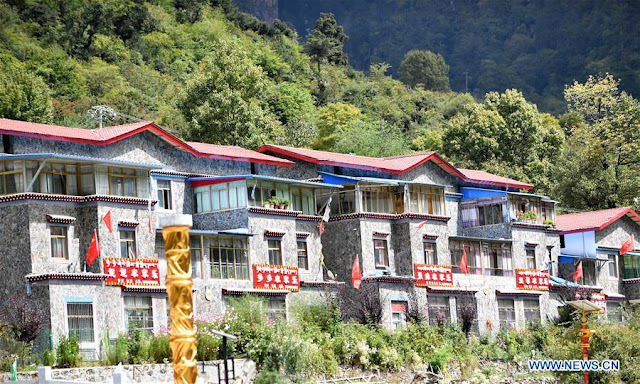 Lhopa or Lhobas, according to Wikipedia is “any of a diverse amalgamation of Sino-Tibetan-speaking tribes living in and around Pemako, a region in southeastern Tibet.” It included Metok and Zayul counties in Nyingchi Prefecture and Lhuntse County in Lhoka (also known as Shannan). 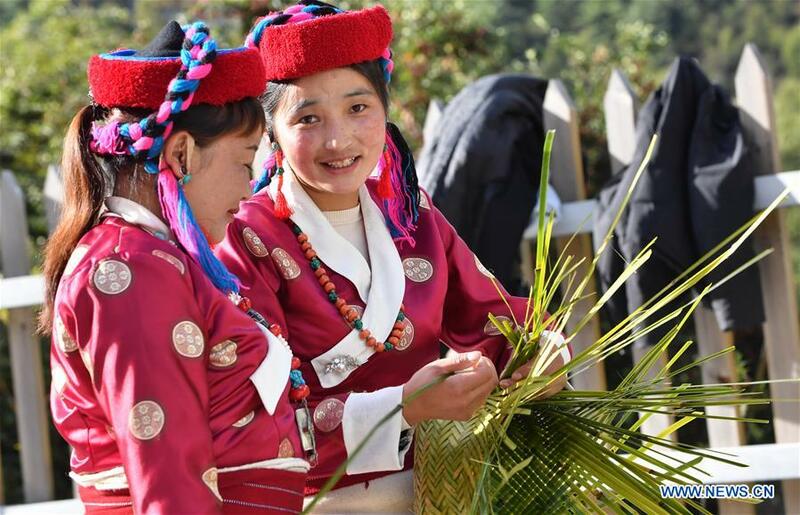 The Chinese government officially recognizes Lhoba as one of the 56 ethnic minorities in China. But in 1985, a first group of 18 households, totaling 80 people including Dawa, were relocated from remote mountain and forest areas to Tsedro, a village where they were given houses, fields and livestock. Since then, the number of households has risen to 41, with more than 190 people. This was probably one of the first cases of ‘relocation’. But today’s relocation is done more systematically way and on a much larger scale. We are told that Tsona County has invested 519 million yuan in the construction projects of 9 border well-off villages which can benefit 1961 people of 617 households. Some 42.3% of the total project quantity has been completed, and an investment of 2.2 billion yuan has been spent. China has 26 national key tourist attractions; Lepo Valley is on the list. A new scheme is now implemented, "Slowing down the speed of tour, enjoying the sea of azaleas in Lepo Valley", it prolonged the peak season said the authorities. Incidentally on March 30, 1959, the Dalai Lama spent his last night in Tibet in Magmang; he was on his way to India. The next day, he crossed the border in Khenzimane/Chuthangmu. Since then, he never returned to Tibet. He would certainly not recognize the ‘model’ villages.